Nativity! The Musical | Birmingham Repertory Theatre. Christmas isn't far away, Starbucks and Costa have released their Christmas range, we'll soon hear the familiar hum of 'Holidays are Coming' and in Birmingham, its arrived in the style of a joyous new musical you can't miss. Nativity! The Musical is a fun and brilliant new adaptation of the 2009 British film brought to us by the Writer and Director Debbie Isitt. The adaptation is wonderful and I knew from the moment the curtain raised that this would be a memorable show. Follow primary school St Bernadette's School in Coventry as they attempt to create a nativity musical like no other. The problem is their teacher Mr Maddens has promised that a Hollywood producer is going to come and see their show and turn it into a film. With the help of his teaching teacher the delightful Mr Poppy, 18 hilarious children, a cute puppy and a whole of festive sparkle and shine it has everything needed to put on an incredible musical. Daniel Boys takes on the role of Mr Maddens, a gentle and likeable teacher that is heartbroken after his long-term girlfriend left him at Christmas for her own dreams of becoming a Hollywood producer. His character is played well and it's enjoyable to watch his personality to develop as the show goes on. 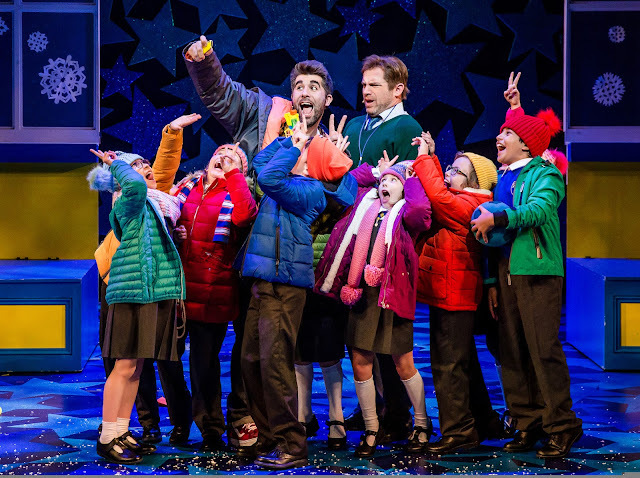 Mr Poppy (Simon Lipkin) is the definition of Christmas joy with his infectious excitement and bubbly Teaching Assistant. His effortless humour and well-timed punned references to modern culture went down well the audiences. The relationship between Mr Poppy and Maddens was fresh and heartwarming, completely balancing one another out to portray a growing friendship through the entire production. The small cast merges together with animation and flare, with a high quality cast from the dominating headteacher of rival school Oakmoor Mr Shakespeare (Andy Brady) to the extravagant local reviewer Patrick Burns (Jamie Chapman). Of course, the performance of the night definitely goes down to the 18 young children, the remarkable quality that makes the production as special as it is. Young local school kids have been cast for the performance, straying away from stage school kids adds real authenticity and realness to Nativity!. The children come with confidence and stage presence that is outstanding for a production on this scale. You connect to their individual, true personalities through the auditioning, rehearsing or performance of the final nativity. 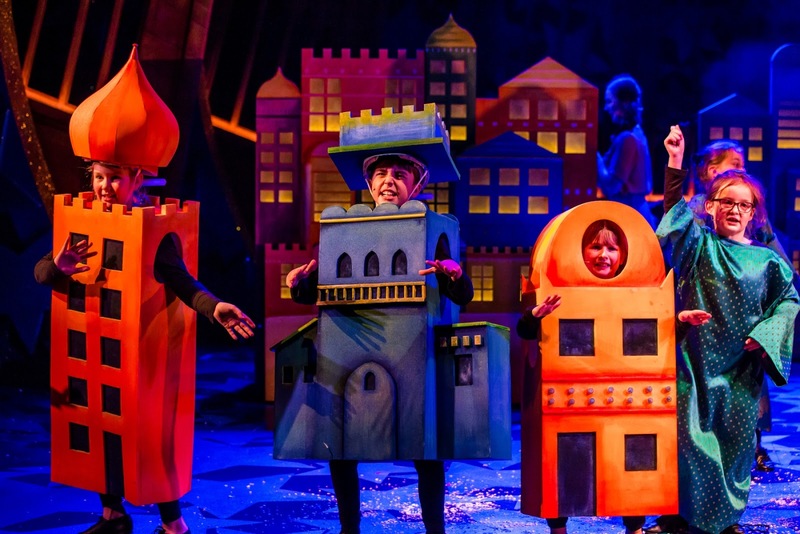 I felt like a proud parent, even feeling very overwhelmed when they performed their epic musical production of the traditional nativity story within the Coventry Cathedral ruins. The finale performance of the epic musical production is the big number of the night, the children really shine as they take on the feel-good smash hit songs from the film, particularly Sparkle and Shine which had the audience completely behind them clapping and dancing along. The production is easily one of the most festive, touching and uplifting evenings at the theatre I've had, making it easily one of the best shows of 2017. It's got me wanting to put my Christmas tree up straight the way! Nativity! The Musical has everything and more you expect from a production; great cast, infectious joy and an incredible young cast. It's definitely not a production you want to miss this festive season, so make sure you go and see it with the family before its too late!